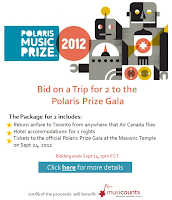 The good folks over at the Polaris Prize are auctioning off a trip to attend this year's gala. 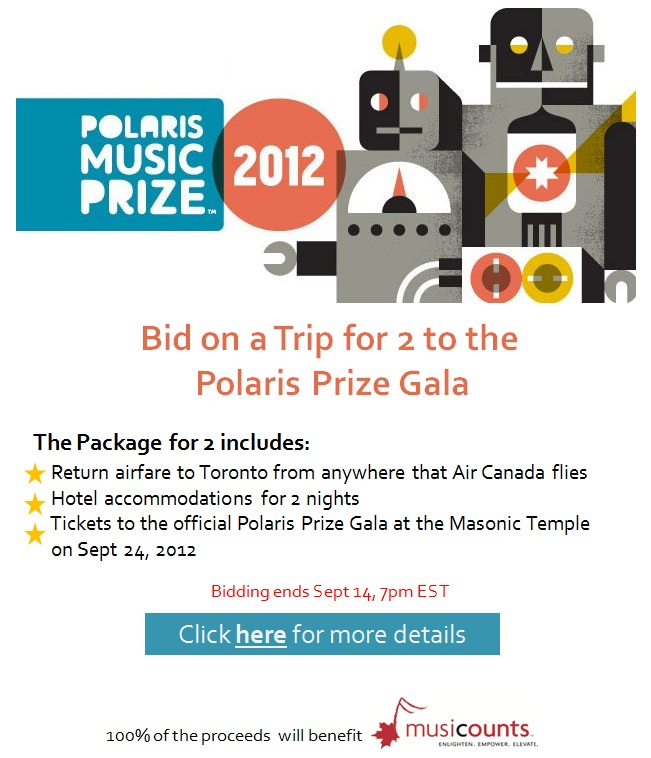 The gala takes place in Toronto on September 24th at the Masonic Temple. Proceeds go to benefit Musicounts. Act fast because bidding closes at 7pm EST on September 14th.